Alaskan Wolves - Alaska is home to the largest remaining population of gray wolves in the United States. But ironically, at the same time that heroic efforts proceed to restore wolves to portions of their former habitat in the lower 48 states, wolves in Alaska continue to be intensively hunted and killed. ANCHORAGE, Alaska — An Alaska wildlife management program in which wolves are shot from low-flying airplanes and black bears are baited and snared is helping to increase the numbers of moose and caribou, state wildlife officials say. The program has long been the target of wildlife conservation groups who view it as state-sponsored slaughter. Last fall, one of those groups launched an ad criticizing then-Gov. Sarah Palin, the Republican vice-presidential candidate, for expanding the program. State officials contend the program is aimed at helping rural Alaskans, who rely on hunting to survive and had complained there wasn’t enough game to hunt and eat. The program began under Palin’s predecessor, Gov. Frank Murkowski. Private citizens are permitted to shoot wolves from the air or conduct land-and-shoot hunting of wolves in six rural areas of the state. Since the program began in 2003, over 1,000 wolves and hundreds of black bears have been killed in an effort to drive down the number of predators. The entrance tunnel and water treatment facility for the Kensington Gold Mine operated by Coeur Alaska can be seen against Lion Head Mountain near Juneau, Alaska. Environmental groups have demonstrated that permits allowing the proposed Kensington Gold Mine to dump tons of chemical waste into Lower Slate Lake located in the Tongass National Forest will violate the Clean Water Act. Gov. Sean Parnell made his first move to put his stamp on the Governor’s office. 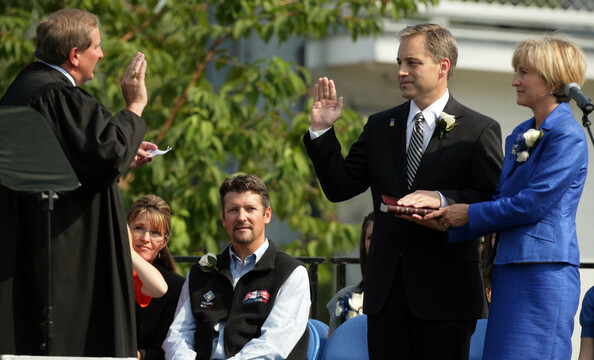 Sarah Palin’s long time friend and confidant Kris Perry, the Governor’s Anchorage office manager, stepped down. Kris was replaced by a long time Parnell aide, Cindy Sims. The most notable change was the resignation of Frank Bailey, Director of Boards and Commissions. Frank attracted notoriety with his famous call to Lt. Rod Dial to discuss Trooper Wooten and confidential personnel issues that he should never have been privy to, given his position. However, Frank was Sarah’s loyal dog, and he did what he was told. Of that, there is no doubt. Of Yup’ik ancestry, Myron Naneng serves the peoples of the Yukon-Kuskokwim delta as President of the Association of Village Council Presidents (AVCP). Known as one of Gov. Sarah Palin’s harshest critics in rural Alaska, Myron Naneng wondered if some honest-to-goodness ribbing would come his way in the aftermath of Palin’s stunning resignation announcement earlier this month. Palin announced July 3 she would step down as governor and hand the reigns to Lt. Gov. Sean Parnell on July 26. Palin said she did it because ethics complaints and politically-ambitious state lawmakers would keep her administration from getting any work done. The news sent political and pop culture tremors around the globe. A few days after the announcement, Naneng talked from his Bethel office about his reaction and that of rural Alaska. Poverty, high energy costs, and concerns about access to fish and game are the issues constantly swirling around residents in remote portions of the country’s largest state. Naneng and AVCP recently organized a media tour of Western Alaska villages to showcase the lack of subsistence and commercial fishing in the area, days after Marshall fishermen defied authorities and illegally caught 100 king salmon. Is Gov. Palin Setting Herself Up To Take Ted Stevens’ Senate Seat? Well, it’s been a little over 24 hours and already the possiblity of Governor Sarah Palin jockeying for Alaska Senator Ted Stevens’ Senate seat is being seriously considered. The Alaska Dispatch published an article today exploring Gov. 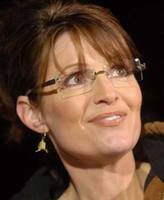 Palin’s next power grab in her zealous quest for what she sees as the ultimate prize, the United States presidency. Should Stevens emerge the winner next Tuesday and then resign, guess who might get to appoint his temporary replacement? Alaskans are already tired of the corruption, the Palin circus, the national media, Troopergate, and the overall embarrassment their leaders have brought to the state. Stevens winning the election, resigning, and giving Palin the opportunity to appoint his replacement may just well push sourdoughs over the edge.